The revelations come amid repeated calls on Washington by senior Turkish officials, insisting on the cessation of weapons deliveries to the Syrian Kurds, which eventually resulted in the US promise to halt arms supplies to the force fighting against Daesh. The former spokesperson of the Syrian Democratic Forces (SDF), Talal Silo, who previously fled to Turkey, told the Anadolu news agency on Saturday that the rebel group was allegedly created by the US as a cover to provide weapons to the Kurdish People's Protection Units (YPG) that is thought to be affiliated with the Kurdistan Workers' Party (PKK) listed as a terrorist organization by Ankara. "It is only a name. Nothing else. We take everything, including our salaries, from YPG. The U.S. authorities wanted to give arms to Kurds. The announcement of SDF's establishment was only a drama. The US gave the leadership to the Kurds and PKK," Silo told the agency. According to him, the SDF was just signing documents to receive arms, but all of them went to the PKK. At the same time, despite talks about fighting terrorism, the US was trafficking Daesh terrorists via an agreement reached with the regional PKK leader. He voiced the belief that all the ideas came from Special Presidential Envoy for the Global Coalition to Counter ISIL (Daesh) Brett McGurk, who allegedly wanted to establish a force, during the Raqqa operation, in the name of the Arab Coalition. Thus, according to Silo, the coalition provided huge amounts of arms, but only a small part of them went to the Arabs, Turkmens and Assyrians, with all the schemes having been created to "cover that these arms were actually delivered to the PKK. But we were sure that these advanced arms were going to PKK and YPG." The US didn't care where the arms would go and when the YPG claimed that it was "out of arms," the US would send a new delivery of weapons. Though, during the Barack Obama presidency, the support was limited, the situation dramatically changed, when Donald Trump became president as the even armored vehicle started to come to the region, Silo said. 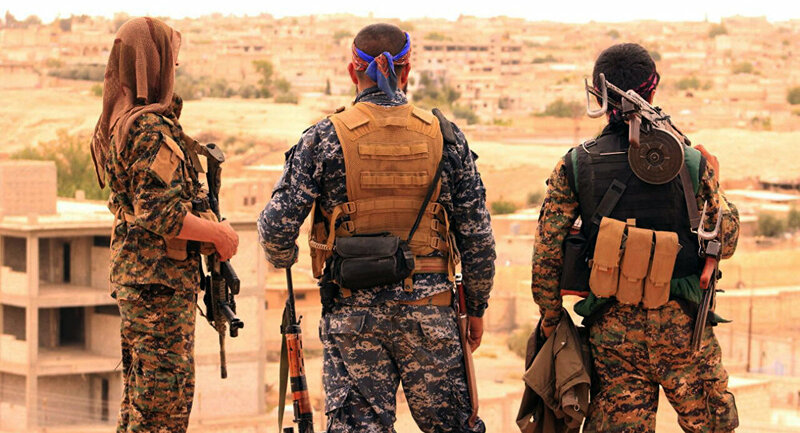 According to the ex-spokesman, the SDF has some 50,000 militants including both men and women, with 70 percent of them belonging to the YPG and the YPJ (the female wing of the organization). The revelations come amid repeated calls on Washington by senior Turkish officials, insisting on the cessation of weapons deliveries to Kurds. 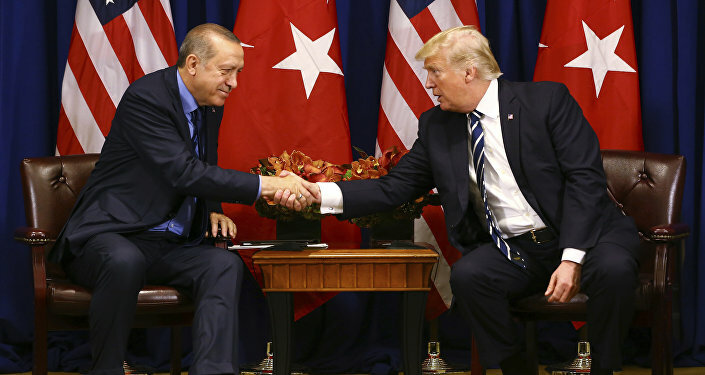 Last week, Turkish Foreign Minister Mevlut Cavusoglu announced that Donald Trump had reassured his Turkish counterpart Recep Tayyip Erdogan that he had ordered to cease supplies of the US armaments to Kurds. Following the statement, the White House confirmed the information, saying that the move was "consistent with our previous policy." Most recently, Erdogan's spokesman Ibrahim Kalin urged Washington to take back weapons delivered to the Syrian Kurds.